Delivery of machinery to customers of Euro cranes. The general objective of any Technical Service application is to facilitate the technical assistance and maintenance work that the service companies provide to their own clients. 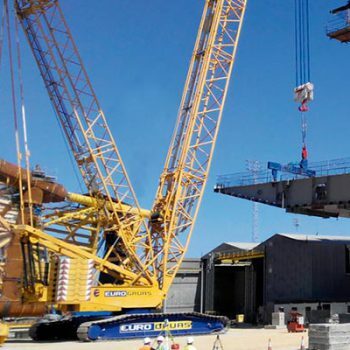 For this reason and in order to offer a better service and support to its customers, the Euro Grúas Group decided in the year 2015 to implement an application of these characteristics that optimizes the processes involved in the rental of cranes and special transports. The application made with the XOne Development Platform optimizes the current processes of delivery of machinery to customers, with the aim of uploading to the mobile device all the information that appears on the delivery note of orders and work pieces that must be filled by the technicians, and in this way, minimize the response times offered. The application, which has more than 100 devices supported on the Android and iOS platforms, also allows to facilitate and streamline the billing management of the company, in order to take more comprehensive control. The result of the application of Euro Grúas has been an optimal management of the maintenance tasks carried out by the technicians in charge of these tasks, as well as an efficient administration of other company processes, speeding up the response times and resolution of incidents, always offering a better service to its customers. Optimally manage the workers’ agenda. Mobilize orders and parts of work. Optimize maintenance tasks, offering better support to customers. Immediately inform the central office of the actions taken. Control and improve the times used. Inform of the used materials and request of necessary pieces. In the year 2,016 the project has successfully passed into production, and due to the ease of development of the XOne platform, Euro Grúas has decided to acquire the XOneCloudStudio development tool since they consider it a differential value compared to the competition to have the capacity to train their technicians in this tool to, in the future, maintain and evolve the initial application.